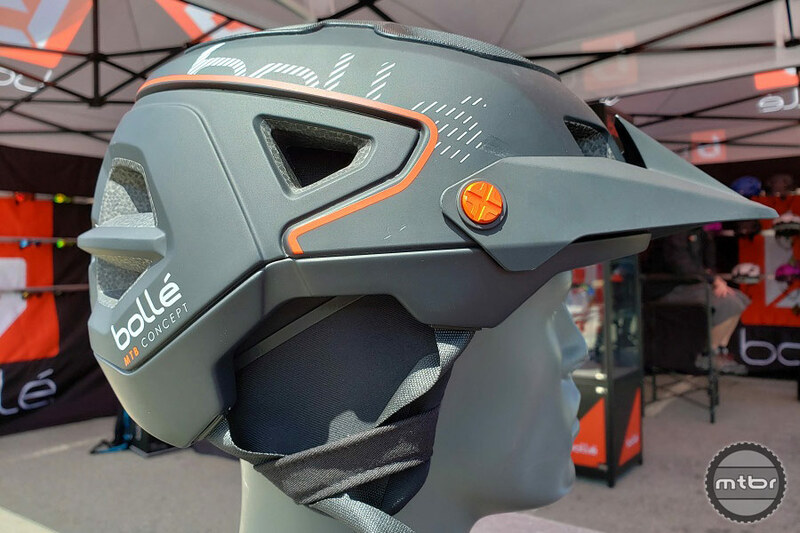 Check out the new Bollé Trackdown enduro helmet with MIPS in white/fire. Price with MIPS is $169. Non-MIPS goes for $139. 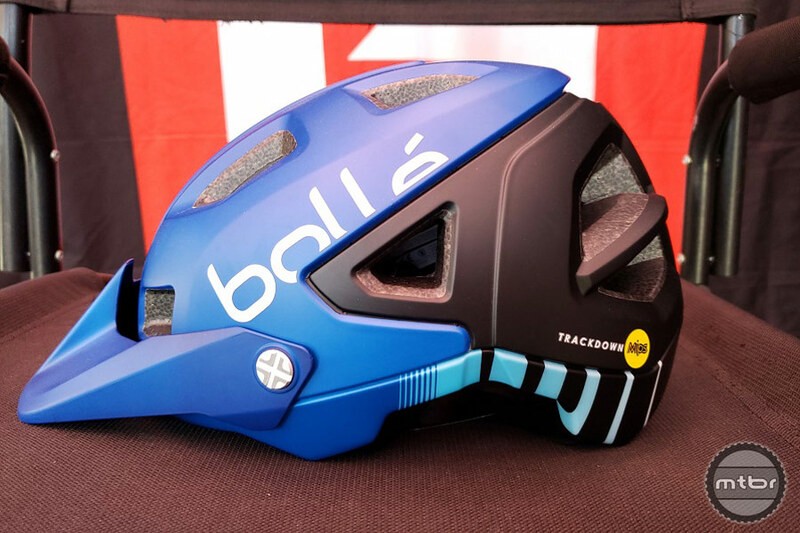 The Bollé Trackdown helmet just launched at Sea Otter. Features include Bollé’s Avid Progressive EPS technology to maximize ventilation and save weight. 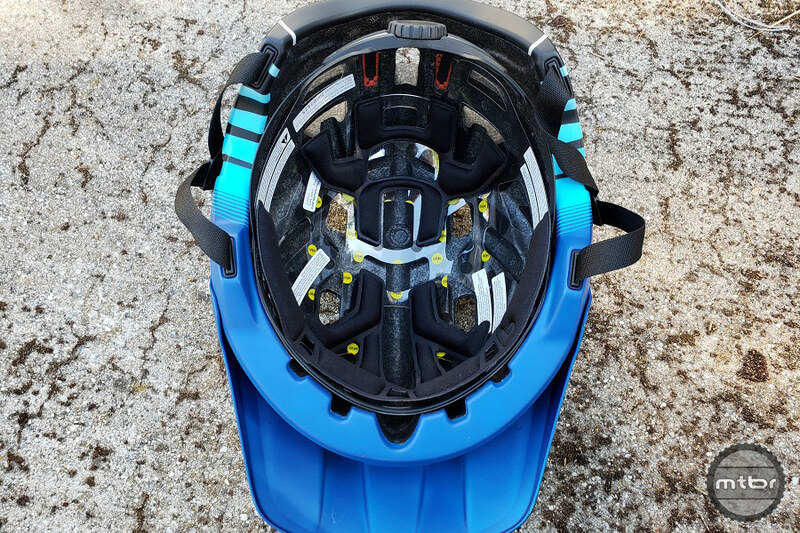 Fit is enhanced with their click-to-fit 360° retention system and full strap to create the perfect fit for most head shapes. 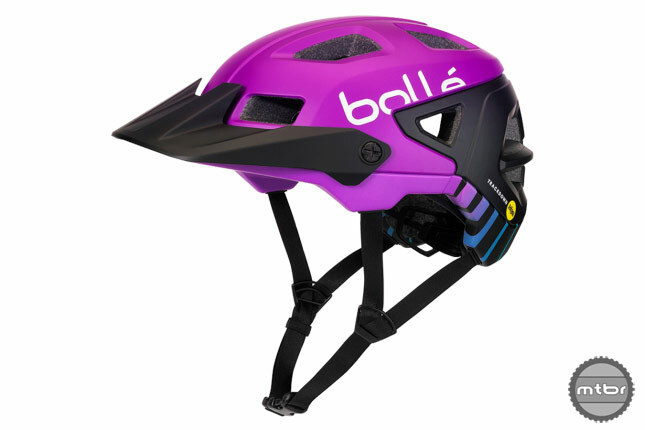 The Bollé 360° retention system creates a snug secure fit for most head shapes. The MIPS layer is clear and there are no protrusions that could create hotspots. 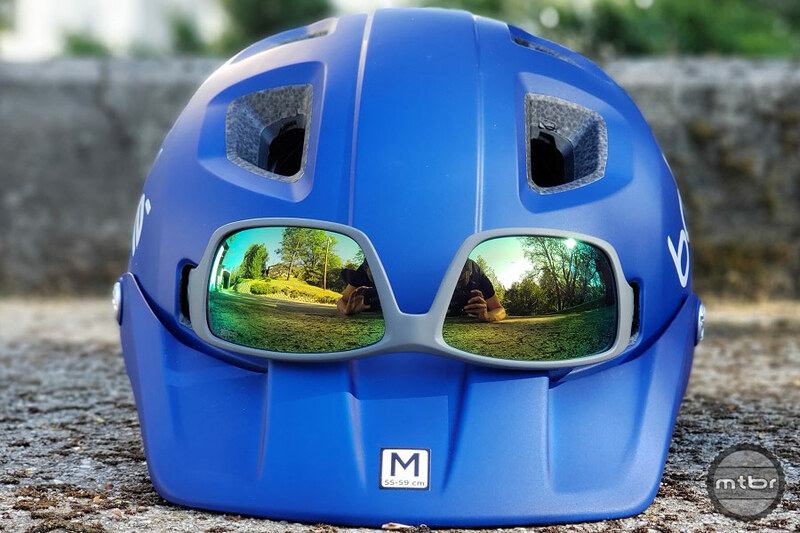 Other features include a sunglasses garage, which securely holds a pair of shades over or below the 3-position adjustable visor, and room for goggles with the visor in the up position. Sunglasses such as these Bollé Kayman polarized will fit with the visor in the half up position or in the fully up position. They also offer a cold weather kit that includes a warm cloth liner that attaches directly to the helmet. The helmet straps slide through loops sewn into the liner for a snug secure fit. The liner does a good job of covering your ears, effectively serving as small ear muffs. It’s a handy feature to have on frigid days. The winter kit is included with the non-MIPS helmet and is offered as an additional purchase with the MIPS version. 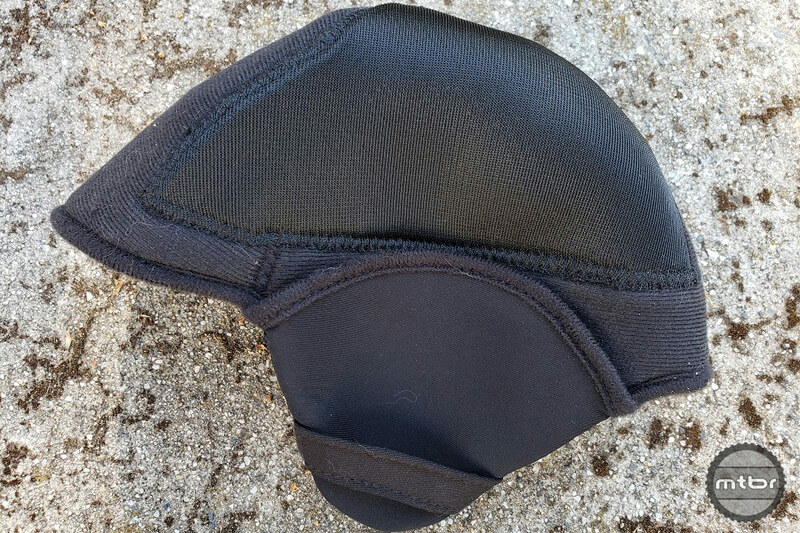 However, all helmets come with rubber vent hole inserts to help retain heat and reduce rain or snow infiltration. They look pretty cool too. Here is the winter kit installed in the helmet. Initial testing felt great. A quick spin up and down the e-bike course when nobody was looking proved the helmet did indeed offer good airflow, comfort, and security. For more information, visit www.bolle.com. This article is part of Mtbr’s coverage of the 2018 Sea Otter Classic in Monterey, California. For more from Sea Otter CLICK HERE. 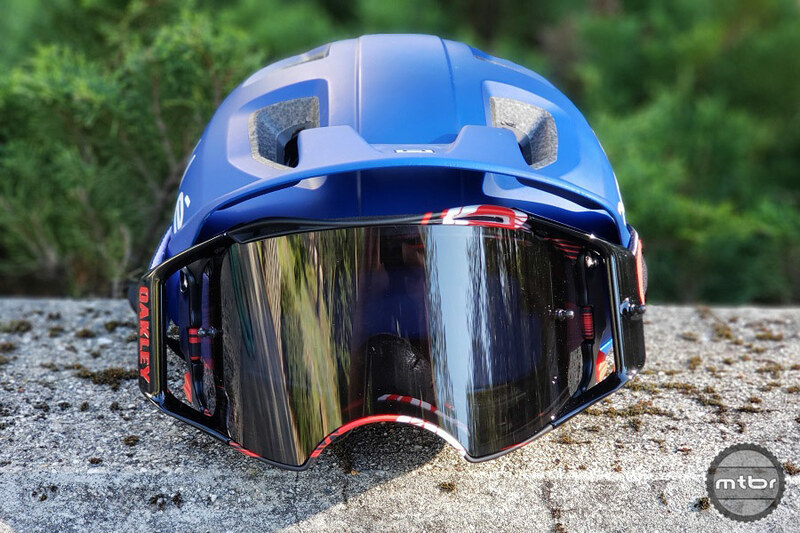 Bollé Trackdown Enduro Helmet w/MIPS in White/Fire. MSRP w/MIPS $169, non-MIPS $139. 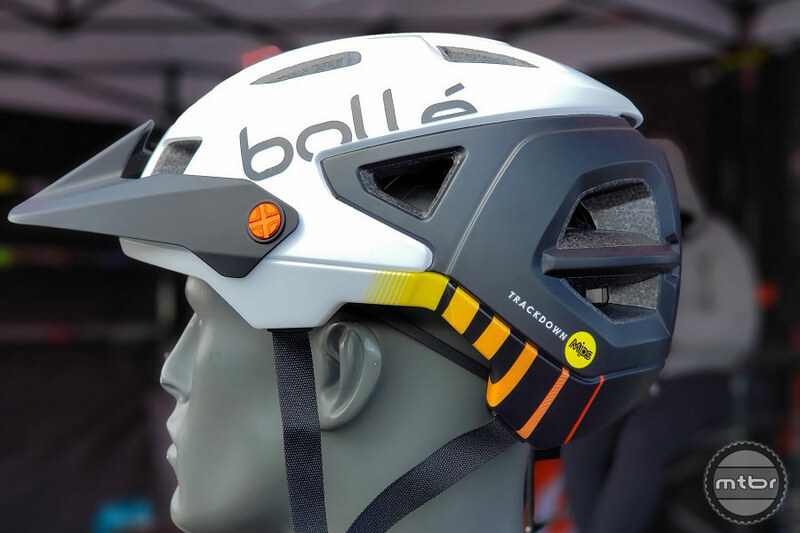 Bollé 360° Retention System creates a snug secure fit for most head shapes. The MIPS layer is clear and there are no protrusions that could create hotspots. Sunglass garage in turtle mode! 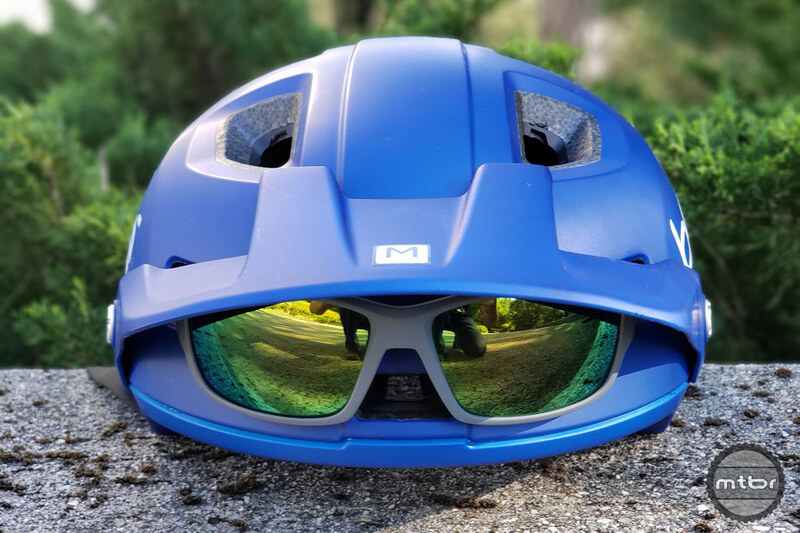 Sunglasses will fit with the visor in the half up position or in the fully up position. Bollé Kayman polarized sunglasses. Sunglass garage with the visor in the full up position. I prefer turtle mode, how about you? Shown with new Bollé Kayman polarized sunglasses. Googles fit below the visor when in the full up position. Now you have no excuse not to go full EnduroBro mode. Winter Kit cloth head piece. Winter Kit rubber inserts for vent holes. Winter Kit installed in the helmet. 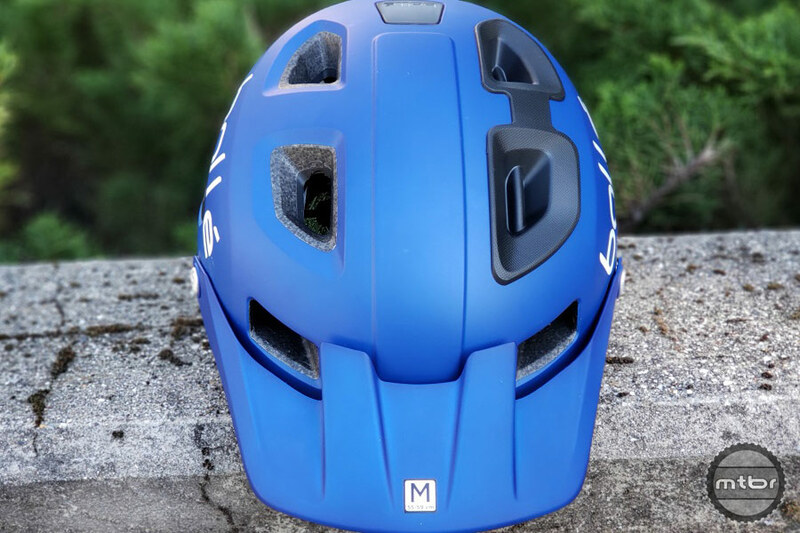 Trackdown Helmet in Blue Gradient. 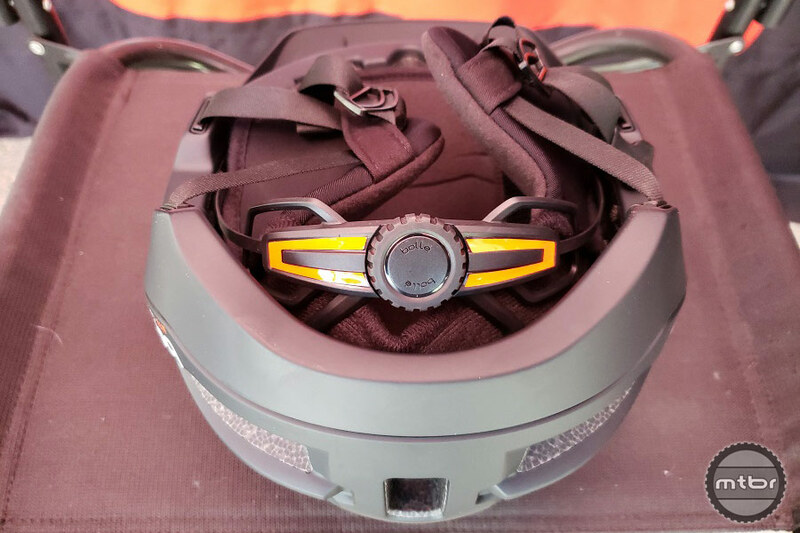 Trackdown Helmet w/o MIPS in Black/Fire MSRP $139. Trackdown Helmet in Purple Gradient.